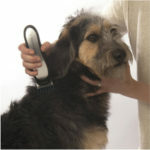 Can The UPmagic Professional Pet Grooming Clippers Deliver Heavy Duty With A Cordless Design? 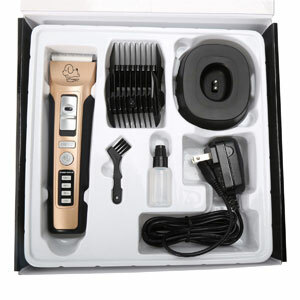 The UPmagic Professional Pet Grooming Clippers are a great looking model with some impressive claims. The main selling point for this dog clipper is clear from the start. This is a high-power, professional model for heavy duty work. The specification talks about tough jobs on cats and dogs, such as breeds with especially thick fur, but it also talks about the ability to work on horses. Despite this, there are some surprises in the sales claims and design too. First all all, it is meant to be a quiet, user-friendly device. Secondly, this is cordless. Does this all mean that it lives up to the expectations on a heavy duty model? 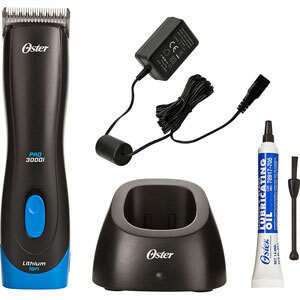 What benefits have been highlighted in user reviews for these UPmagic Cordless Dog Clippers? Starting with this factor of the cordless design, some may immediately expect a heavy duty model to have a thick cord to feed consistent power to the blades. Here there is a strong 2200mAh lithium ion battery that is said to last for as much as 5 hours. Most users seem to be impressed with the longevity of this product, and say that it lasts well with a strong performance in the motor all the way through. They have no problem working on animals with more difficult coats like poodles and other large dog breeds. It also charges back up fairly quickly too. Then there is that promise of a quiet operation that means that is is perfectly suitable for smaller animals and more nervous cats and dogs. They claim that this is due to the use of the high end motor and hybrid ceramic/steel blades. These blades also happen to be adjustable for different clipping needs to 1.3mm, 1.6mm and 1.9mm. For the most part, buyers are impressed with both the lack of noise and the lack of vibration that comes from this option. This means a calm dog, which makes it even easier to get those great results. 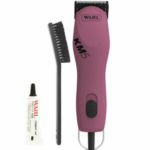 There are many that report great cuts and styles after switching to this model. Are there any issues with this UPmagic Professional Pet Grooming Clipper that buyers should be aware of? 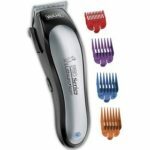 Reviews for this UPmagic clipper are actually pretty mixed, with some people loving them and some absolutely hating them and failing to get them to work at all. Part of this comes down to the need to take the blade guard off to get the closer, neater cuts. Some have no problem with this as they are confident in their approach. Others don’t want to take the risk. Then there are those that received faulty goods with bad motors or blades and couldn’t get the job done. Summary: is this UPmagic Professional Dog Grooming Clipper still recommendable with all of this in mind? 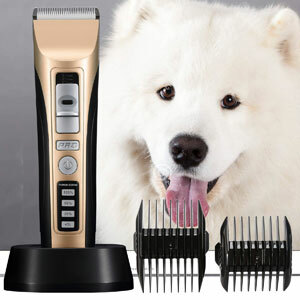 In the end it is hard not to give this pet grooming kit a glowing recommendation because it is such an impressive model for its purpose. It is rare to see a model that is so capable on tough coats and long jobs that is also cordless, quiet, easy to operate and pretty good looking. The low consumer rating doesn’t really do this justice as those that can handle the style and the blades have little problem. If you know how to trim a dog and aren’t worry about guard blades, the UPmagic dog clippers are fine. You can check out more customer reviews about the UPmagic Professional Heavy Duty Pet Grooming Clippers on Amazon here.